Hi everyone, just joined this forum after stumbling across a 320 that has been languishing in a farm building for some time. It is a 2 owner car with a history file that goes back to the original bill of sale (Alpina wheels were an optional extra when new). The cars paintwork has suffered in the leaky barn but looks to be all original and unmolested and the doors, bonnet and boot shut like a new car with perfect gaps. Just debating wether to do a full resto or just touch up, service and use it as a daily? When I first went to move it the keys got locked inside and I had to remove the rear screen by cutting it out, anyone know where I could find a new rubber? Main dealer is easiest solution. Really nice blue colour, what is it? Hope we see it shining again! 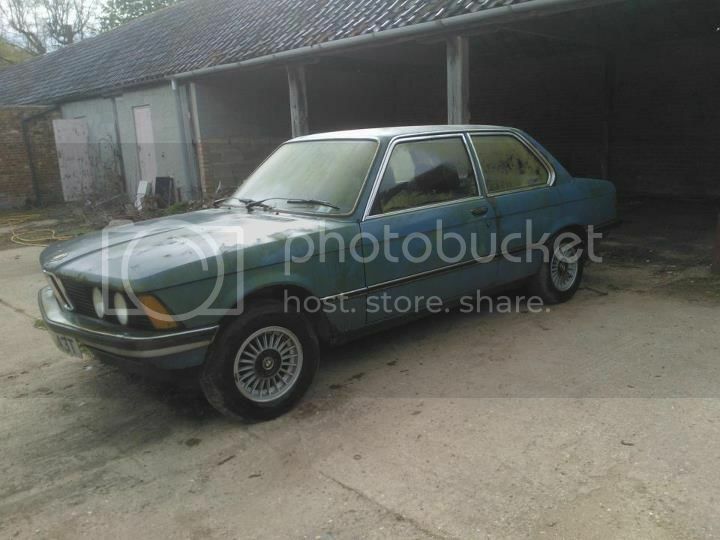 Biscay blue according to invoice, not found any major rust issues other than below the rear side windows which are non openers and a hole behind the bonnet badge, plenty of surface rust thanks to a leaky barn, think I may have got to this car just in time. Will take some close up pics this weekend. put it back on the road and take car of it! Nice find, but like Jeroen says, look closely at the known rustspots. Especially when it was for a long time in a leaky barn, there will be rust under the surface, at the jackpoints and the outersills. Good luck bringin' her back on the road! been busy last few weeks but decided to make a start on the old girl last weekend. Now running sweet thanks to a new battery and fuel filter and also refitted rear screen. gave the interior a clean and came up pretty good though seats will need a steam clean. work in progress, despite its 12 year slumber everything seems to work fine. 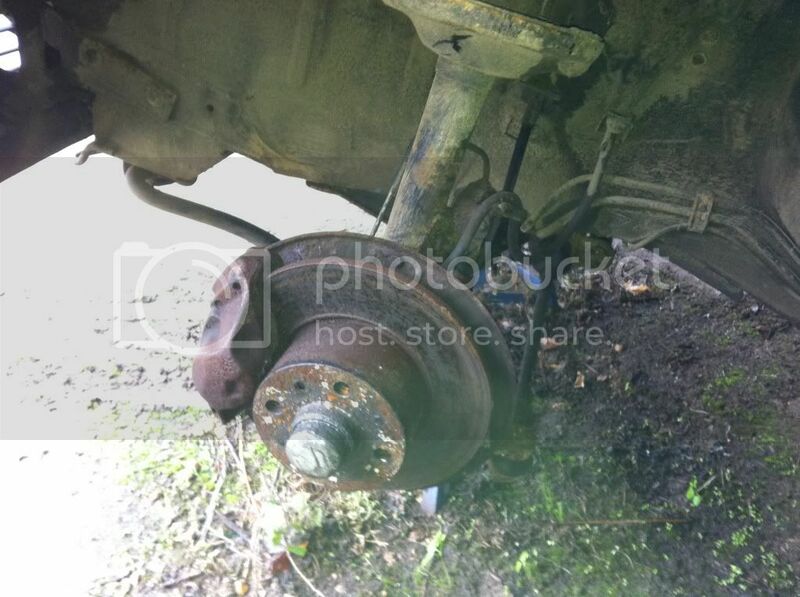 next job is to free up brakes, looks like its had all new brake lines, pads, bearings etc before it was laid up but calipers will need a rebuild. No rust issues underneath so far. Going to check rear brakes and exhaust tomorrow so hopefully some more pics. Yeah better rebuild the brakes F&R, but it sounds like the car is pretty good nick then! 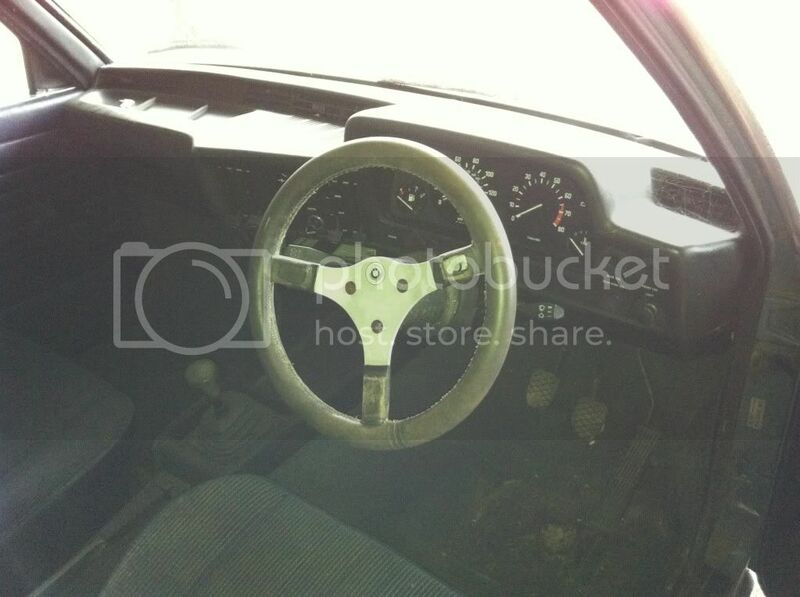 That steering wheel is worth a dollar or two. Someone else commented on the wheel funilly enough, theres a centre pad in the glovebox that fits over the middle of the wheel which is quite rare too. Was going to chuck it at first and get a standard wheel till I found out what they were worth.